There's more asbestos in the prime minister's official residence than previously thought, according to a third-party review of 24 Sussex. The prime minister's official residence has more asbestos in it than previously thought, according to a third-party review. When Prime Minister Justin Trudeau moved into government, he opted not to move his family into 24 Sussex — instead choosing Rideau Cottage over the drafty and deteriorating official residence that was his childhood home. Seizing on the empty home, the National Capital Commission — the Crown corporation responsible for 24 Sussex's upkeep — hired consultants to poke and prod the Confederation-era building ahead of any hoped-for renovations. In 2015, the engineering firm Exp Services Inc. sent its investigators into the grounds' main building, the pool house and the neighbouring RCMP building to survey for hazardous materials, including asbestos and lead paint. The Exp specialists drilled into the plaster 15 times with a vacuum to extract samples. They were given past asbestos reports on the home as a starting point — but they noticed an error. "Previous reporting identified the plaster within the building as being non-asbestos. However, sampling programs completed as part of the building assessment have demonstrated that grey coarse plaster within the building is asbestos-containing," reads the report, obtained by CBC News through the Access to Information Act. Asbestos has been condemned by the World Health Organization as a health threat and the once-common fireproofing material is now banned in some 50 countries around the world. Canada was once a leading world supplier of the carcinogenic mineral. It's linked to mesothelioma, an aggressive cancer that can develop in the lining of the lungs as a result of inhaling asbestos dust and fibres. The stone mansion's grey plaster "forms the majority of the walls/ceilings" of the main building, notes the report. Inspectors found that while the building's white plaster didn't contain asbestos, they felt it couldn't be easily separated from the contaminated plaster. On the plus side, the plaster was in good condition and the engineering team said the walls could be left as long as 24 Sussex is simply re-occupied or maintained as-is. "However, in the event that the building is to be renovated, it is recommended that the plaster be removed," said the report. Laura Lozanski, an occupational health and safety officer with the Canadian Association of University Teachers, said asbestos in plaster — especially in older homes — can be easily disturbed by rubbing up against it or drilling a hole into it, which can release toxic fibres. "Once the fibres are disturbed they go into the air and that's how we either breathe them in or ingest them. So we always have quite serious concerns," said Lozanski, who has become one of Canada's most active asbestos educators. "I'm going to assume this plaster is old … It's probably been releasing fibres from time to time over the years." Lozanski said being exposed to asbestos doesn't automatically lead to an asbestos-related disease. "But if you have been exposed, the risk is there," she said. Previous inspections of 24 Sussex had unearthed asbestos in the home's drywall and in the pipe insulation. The Exp report noted that no asbestos has been removed from the building since 2011, when a team pulled vermiculite asbestos from one of the home's rooms. Lozanski said the risk isn't borne only by the families that have lived at 24 Sussex, but also by any staffers or construction workers who have spent time in the residence. 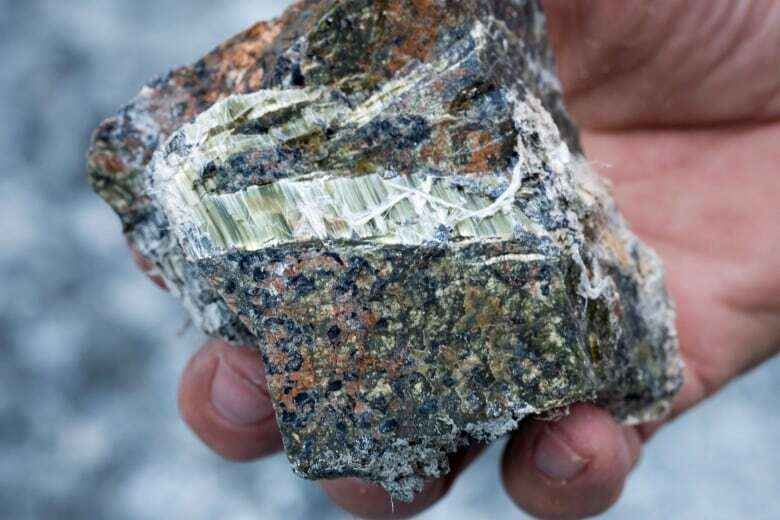 That's why the Public Service Alliance of Canada has been pushing the federal government to create a national registry of public buildings that contain asbestos. "This registry must not only pinpoint buildings, but exactly where asbestos is hiding inside," said PSAC President Robyn Benson. Exp referred all questions about 24 Sussex to the NCC. The NCC wouldn't say whether any former occupants, staff or contractors have been tested for asbestos exposure. "As part of its duties as steward of the Official Residences, the National Capital Commission is renewing various studies, including site surveys of the grounds, the main building and the four ancillary buildings, asbestos testing and other life cycle evaluations," said spokesperson Jean Wolff in an email. The outside report offers a glimpse of what still needs to be done to renovate the home. The Exp team argued the wall and ceiling plaster and the stucco would all have to be removed for safety reasons, along with flaking lead paint. Exp reported it would cost just under $1 million to remove the asbestos — about half of that just to remove the plaster walls. According to at least one estimate, the cost of rehabilitating the home has almost tripled since the Office of the Auditor General pegged the cost of renovations at about $10 million back in 2008. An internal draft, included in the access to information package released to CBC News, put the renovation cost at $26.2 million, excluding security costs. That itemized tally includes a number of renovations not included in the auditor general's review, such as upgrading the building's water and gas systems, fixing the sunroom and enhancing the home's appliances, fixtures, paint, wood panelling and staff office. ​The NCC has paid for a number of consultations on the home while it sits empty, including one for a heritage documentation that cost nearly $140,000. As the Huffington Post previously reported, the NCC has received multiple scenarios for renovating the residence, ranging from modest nip-and-tucks to a $561.7 million White House-type complex. The 322-page access to information package shows the NCC was hoping for a decision from the Prime Minister's Office greenlighting major renovations. Staff even drew up a draft package seeking professional design services. The author was bold enough to write that the "Government of Canada has decided to complete a major recapitalization project for the residence of the Prime Minister at 24 Sussex Drive." Right now, however, any plans to renovate the home remain in limbo. Prime ministers have been reluctant to update the home for public relations reasons. The last time the 35-room home saw a major facelift was back in the 1950s, when prime ministers first started to use the home as their official residence. Trudeau has said he has no plans to move back into the home he grew up in during his father's tenure as prime minister. "I've made the decisions to talk to experts and to look at the NCC and allow them to make the determinations on what the future of 24 Sussex will look like," he said. 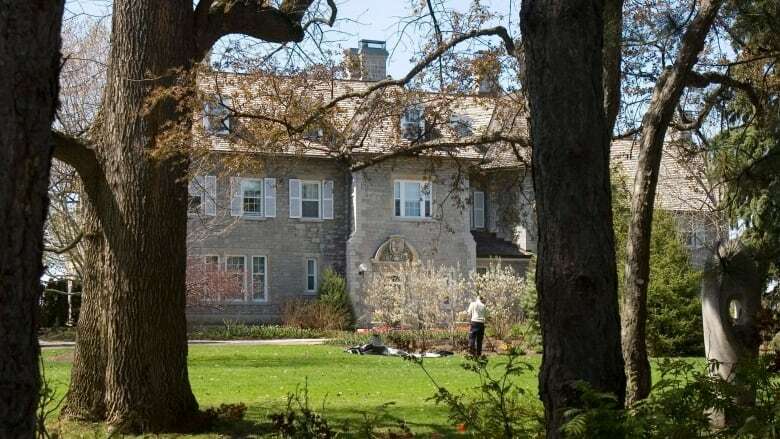 The NCC says it "is working with its federal partners to develop a plan for the future of the official residences including 24 Sussex Drive to ensure the federal government is able to make a prudent and informed decision." The Prime Minister's Office referred all questions about 24 Sussex to the NCC.